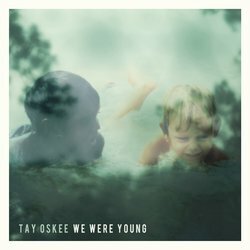 Tay Oskee is a multi-instrumentalist playing a variety of guitars, banjo, harmonica and percussion. With a musical style that is wide and varied, Tay can take you on a journey from chilled beach tunes to punchy riff driven roots music with distinctive multicultural influences. Tay's live shows have been praised for their incredible dynamics leaving crowds silent while he weaves through beautiful ballads of love, nature and hope. While in the next breath he can have the whole crowd in a dancing frenzy with his infectious build ups and rhythms. In his short time on the scene, Tay has had sold out shows, played Splendour In The Grass, Byron Bay Blues Festival and has supported acts such as Kim Churchill. Recorded in his studio near Byron Bay with the help of producer, friend and fellow folk singer Garrett Kato (Ziggy Alberts, Kyle Lionhart), ‘We Were Young’ is a beautiful sonic journey which progresses from soft lush folk sounds and soaring melody’s to a Sigur Ros-esque build with driving drums.